Pet laser therapy is now available to pet owners in Pembroke Pines at one of Florida's most comprehensive veterinary clinics, DPC Veterinary Hospital. Pet laser therapy is an affordable, highly effective alternative therapy for dozens of dog and cat ailments, is noninvasive, quick, has no known side effects, and when used to relieve pain, works almost instantaneously. It's a therapy you really need to explore for your pet. Lasers have been used to treat humans for decades. Professional athletes count on them to ease pain from strained or sore muscles and ligaments. 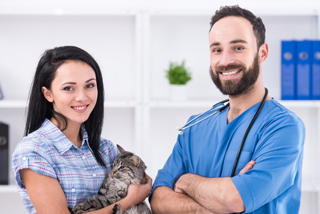 Recently, advances in laser technology and manufacturing have led to an affordable laser unit appropriate for treating cats and dogs. DPC, which prides itself in providing comprehensive veterinary care, invested in a Companion Therapy Laser™ and now offers this amazing treatment to its clients. What's so exciting about laser therapy is its versatility, ease of application, almost instant results, and the total lack of adverse side effects. 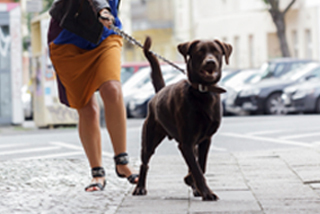 It truly is a tool that will change many of the ways that pet health care is delivered. 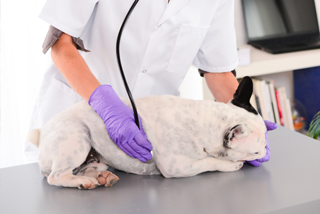 The Companion Therapy Laser™ used at DPC is a small device connected to a handheld wand that the vet or technician "shines" on the area of the pet being treated. The amount of laser energy is determined automatically based on weight, color of skin, color of hair/fur and the condition being treated. Your pet will feel a soothing warmth that relaxes pets to the point that some dogs will actually doze off. Therapy sessions last between 5 and 8 minutes depending on the treatment. Additional visits may be required. There are no special "pre-treatment" or "post-treatment requirements. 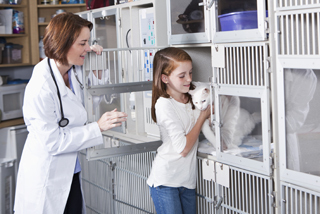 This pet therapy is quick, affordable, and provides almost immediate effects. If you think that laser therapy could be beneficial for your pet's arthritis or other condition, give us a call at DPC today and arrange for an evaluation by one of our great vets!